My name is Caleb Loomis and its important to me that children have a safe and loving place where they can grow up. For that reason, I am training to run the 2019 Marine Corps Marathon to raise funds for the Children's Shelter of Cebu (CSC). Hundreds of Filipino children with tangible needs have been supported by the Children's Shelter of Cebu. The shelter not only provides for these children's basic physical, educational, and medical needs, but it also offers adoption prep and counseling services. The shelter has been providing homes for orphaned, abandoned, and surrendered children in the Philippines since 1979. Today, the Children's Shelter of Cebu is independently rated in the top 5% of non-profit organizations by Charity Navigator. - 125 dollars covers monthly meal expenses for a child who calls the children's shelter home. - 75 dollars will significantly offset medical expenses for a child with medical needs. - 50 dollars can help facilitate a counseling opportunity for a child who has experienced trauma. 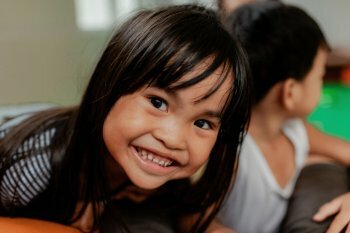 Regardless of whether you chose to donate 20 dollars or 2,000 dollars, you'll be supporting a non-profit organization that is dedicated to improving the lives of the most vulnerable population — children.